Sebastian and Daniela are originally from Chile and have served in the Anglican Church of Chile for over 20 years. During those years, they developed a calling and passion to minister God’s healing to family and children. In January 2017, they participated in a Greenhouse sponsored training and experienced a new calling to serve as missionaries in the US. Since then, they discerned a call to serve the families and children of the Latino community in the Chicago area. Their work with Greenhouse will include jumpstarting evangelistic and family outreaches through Iglesia de la Resurrección. Sebastian studied Veterinary medicine and Daniela is a qualified special needs teacher. 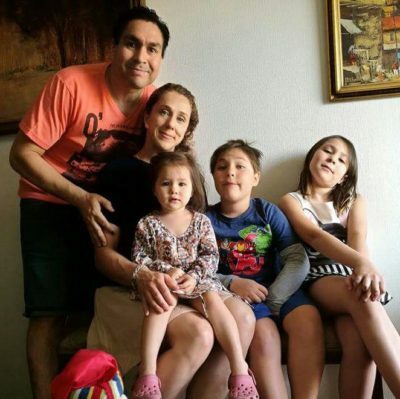 They have been married for 12 years and have three children: Amalia, Mateo, and Marina. They love traveling and have dedicated their lives and gifts for the growth of the church and the glory of Jesus’s name.